I write this from a place of sickness. A place, where I have the flu, or whatever it is, and it is trying to take my hope away, my trust in God, and where I feel so out of it, that I could just give up. But God… It seems, He draws out my gift, even at the worst of times…. As I try to rest, in the day, I am in a spiritual battle. My dreams, and my spirit is restless, and I hear the devil, telling me to give up. And I say no…. But God reminds me, to always fight a good fight of faith. I am a warrior. I have fought all my life to survive. And I am older now, and I have not met success, in certain ways. Yes, my life is fruitful, because of my walk with Christ, He saved me. He pulled me out of the miry clay. Yes, my life is successful, because I do have a wonderful husband and son, who love me very much. And the devil, has tried to take that away from me many times, but God, protected me, when it came to temptation. Or just giving up, on my marriage. When there was trouble. I used to fight and flee. Because I grew up fighting alone. But I learned to fight, and have faith. And no, I have not met goals even in my writing. I am so limited, but God is not. In who sees my writings. But thats o.k. I will fight the good fight of faith, and continue on. I will share what the Lord puts on my heart. I will fight. Life, is precious. But our society, does not protect life. We do not promote it, or there would not be abortion clinics, throughout our nation. Irony of just who I am, my mother, was not able to have children. She did not want me. She did not want children. She actually took medical, advancements, to tie her tubes, and it failed. I was conceived. But she did not abort me. She did not stop the plan of God for me and my life. I was born. My father prayed for me. I am an answer to prayer. So, I appreciate life, I appreciate the life God has given me. Especially, after I accepted Christ as my Lord and savior. I cleaned up. Quick! I repented, I saw how close I was to death, and even hell. Recently, we have heard in the news of two people, who have given up on life. They were people in the news. By their accomplishments, by their gifts and callings. But they took a wrong turn now. By suicide. I won’t name them. My goodness, they need closure. For their family. And then there was a friend in the family, to my son. He was a young man, and he took his life. Why do people give up? Why do they stop caring. Yes, life is hard sometimes, but don’t ever give up. That is a spirit of suicide, that goes totally against who we can be in Christ. And that comes right from hell, not God. You have to know who Christ is, and you have to know who the devil is. And the devil, comes to kill, steal, and destroy. Read John Chapter 10 from a King James bible. Christ, said, He came to give life, and that we “might” have it abundantly. Might? Hmm, what does that mean, when you are trying to sort out life, its situations, your hope, your faith, and you are trying, to figure out what to do? It does not mean taking your own life, or giving up. I guess, I just come from a place of faith, because thats who I am. Because I have not always had the success, to say, my life is a success. Or that I have lived abundantly. I have not always. But I dream about it. I hope for it, and I won’t let go of God, or of my hopes, in having that life abundantly. Some might say, because I am in my 60’s thats it, well I say, the devil is a liar. And I know it. You see, “But God”….. has stepped in so many times, when I was at the bottom of the barrel, and saved me. Yes suicide, and giving up, are options, but not if I embrace who I am in Christ. And thats the whole point here. I submit to God. I resist the devil, and he must flee. I do it even here, in my writing…. I submit to God, and God can fight the battle in my sickness, in my healing, in my relationships, or in my life, in general. I won’t give up. I hold on, even now, and I write, and I let this out of my spirit, to proclaim it. Because there are people, who do not know God. They do not know how to believe in God, they don’t know, that there is always a chance, even if it looks like you are not promised tomorrow. I have seen as you have, many get a bad doctors report, and they believe, thats it. Thats the end of it, just give up, take your own life, at your own pace, and they end it. Thats so wrong. Look, my God is not an ATM. I am not going to give you a bunch of bull, and try to twist your mind, or your spirit, by telling you, just have faith. You cannot have faith, if you do not know who God is. Thats the bottom line. You have to learn who He is. You have to know, that He is not mocked. You have to learn, and know, that He has His commandments, His ways, and we are to follow them. Not religion. Not some mans, rules, regulations, and traditions, that he established in a group, and calls it religion, or even Christianity. When I see, the distortion of Gods holy word, by so many, by pastors, by churches, it makes me righteously angry. And I get that because, I know, the truth, the truth, that truly has set me free. When I see corrupt Bibles, that are part truth, and part lie, yes I get righteously, angry. But yet, I don’t push my faith on anybody any more. Oh yes, I did, I would be a liar, if I did not admit that. But…. I don’t try that hard any more. I don’t give up. But I don’t try to force faith, or force belief in God. Thats His job, not mine. But I won’t give up. Even if He does not answer my prayers. Even if He leaves me like I am right now. I won’t…. I will, write, and write, about His goodness, about what pleases Him, because I know Him. I know Him personally. I don’t have a religion, I have a relationship with Him. And it began, the moment, I saw what He did on that cross for me. That He took those beatings, that He was nailed to the cross, and endured the pain for me. The mocking. The sorrow. He took it, so I could write this, even now to you. Don’t give up on life! Don’t give in to the spirit of suicide, or even giving up for that matter. After He died, He went straight to hell, to get those keys from the devil, so the devil, would not have that legal right, to make you give up. Or to steal your soul. But you have to start even where you are right now…. You know how you begin? By His holy King James word. By throwing away that pride, that stupid pride, that wants to deny there is no God. By admitting, you are a sinner. By repenting, for even giving up, on God, and on life. Because there can be a tomorrow. He can heal you. Just by what He did on that cross. He can heal you physically, and spiritually. BUT HE GIVETH MORE GRACE. WHEREFORE HE SAITH, GOD RESISTETH THE PROUD, BUT GIVETH GRACE UNTO THE HUMBLE. SUBMIT YOURSELVES THEREFORE TO GOD, RESIST THE DEVIL, AND HE WILL FLEE FROM YOU. DRAW NEAR TO GOD, AND HE WILL DRAW NEAR TO YOU. CLEANSE YOUR HANDS, YE SINNERS, AND PURIFY YOUR HEARTS YE DOUBLE MINDED. BE AFFLICTED, AND MOURN, AND WEEP, LET YOUR LAUGHTER BE TURNED TO MOURNING, AND YOUR JOY TO HEAVINESS. HUMBLE YOURSELVES IN THE SIGHT OF THE LORD, AND HE SHALL LIFT YOU UP. JAMES 4:6-10. KJV. You cannot resist the devil, without submitting to God first, dear ones. And the devil is the one, that is telling you to give up, give up on life, give up on your dreams, give up on your health. He is saying give up. He is telling you that with a spirit of suicide for whatever it is…. And just this week, again, we saw souls, give up. And it grieves me. Because there is always a chance with God. If only they had submitted to God, resisted the enemy, that spirit, of suicide, and giving up, would have left them. It grieves me, because His commandment is thou shalt not kill. Killing oneself, and the temple, He resides in, is wrong. I don’t know Gods mercy, in all things. But if I do not do my part, how can I work out my salvation, with fear and trembling, of Him. When we are commanded to fear God. That is not taught by our prolific, ministers. Because they just tickle your ears. But I have nothing to lose but my sorrows, by telling you to fear God, and don’t give up! Sounds easy? Huh? It is if we take His yoke. He told us, take my yoke it is easy…..
TAKE MY YOKE UPON YOU, AND LEARN OF ME; FOR I AM MEEK AND LOWLY IN HEART: AND YE SHALL FIND REST UNTO YOUR SOULS. FOR MY YOKE IS EASY, AND MY BURDEN IS LIGHT. Matthew 11:30-31 KJV. Finding rest for your soul, requires your submitting to God, resisting the devil, and He will flee. This is how we find our rest. Not by giving up. Till my last breath, I will trust God. I will submit to God, I will resist the devil. Whether or not anything else changes, or not. I will try and do it His way. For He is the way, the truth, and life. Go to Him now, bow down, in the sight of a mighty God. Repent, tell Him you are sorry, tell Him, you want life abundantly. Let Him heal you, and cleanse you, and renew you, for a new lease in life. Read Jeremiah 17:14, it is a prayer, for healing….. Yes, life, abundantly, by only doing that….. can start the process. There is more. A whole book, that tells you how. 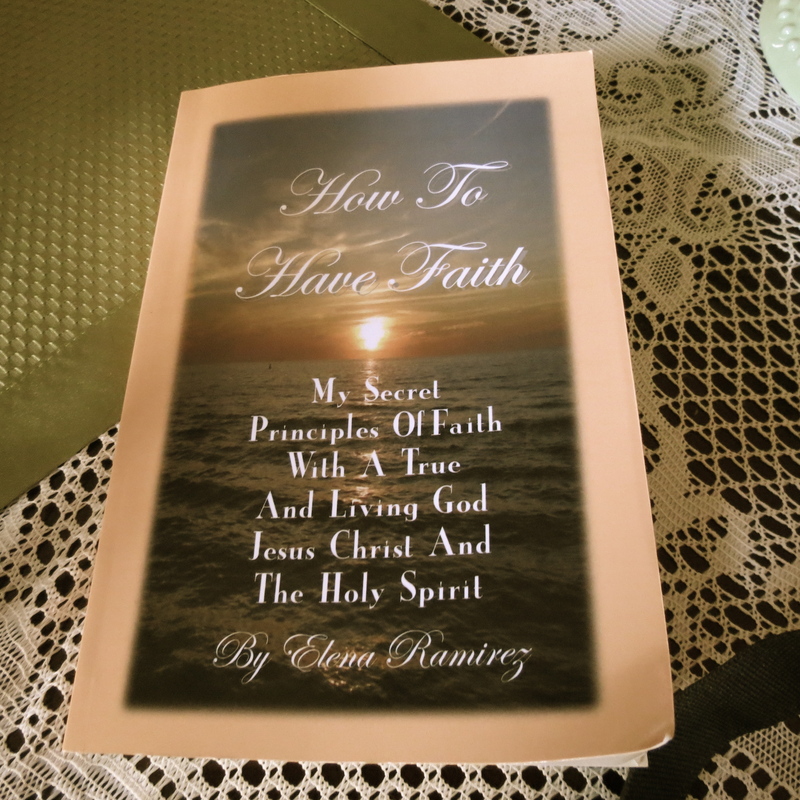 And its not just in the book, I wrote, “HOW TO HAVE FAITH.” But its in His holy word, a sword of truth, the King James Bible. Don’t use anything else, if you don’t want to give up. Yes, I could keep writing, here right now, but a little food for the soul, by writing Gods word, nourishes me, and so I close till, God says, write again, Elena. Think again! Be warned, this is not going to be a feel good message, that tickles your ears, or sugar coats truth. To just let you go on your way. Nope this message, my post today, my thoughts, that I submit to God, will not do this, but I pray, that will open your eyes to truth, for a real spiritual revival and understanding. Because none of us are entitled to feel the way we do. How dare any of us, think we are entitled. Because it then gives you permission, to do what is wrong. But many do. And many do, not having the fear of God. Or a sense of guidance from God, and so everything they think or do, without God, turns into pride, and they think they are entitled. Entitled, to be angry, entitled to hate. Entitled, to do what they want, when they want it. To just take it. Entitled, to disobey Gods truth, and choose what they want. Entitled to hurt others, with no parameters. And even entitled to deny God! The worst…. And this is just scratching the service. Because even though God gives us the choice in emotions, or thoughts, to choose from. The truth is we do not know without Gods instruction, how to see that we are not entitled. Lets use a couple of examples forgiving, and fear, to make the point. You see, we are called to forgive. We are called to walk in love. We are called, to first and foremost, love the Lord with all our hearts, and souls, and minds, and obey. That love should be there. But it is not there, when you don’t forgive. When you choose, to be angry, because someone hurt you. So you feel “entitled” to keep those bitter ugly feelings, because you were hurt. Well hello….we all are hurt, at some point or another. But it is what you do with that emotion, that feeling, that can come straight from hell, by either obeying God, or disobeying Him. If you do love God, with that commandment, you give Him the hurt, because lets be honest, He was hurt the most, by going to the cross for all of our sins. But you give Him this love, this pain, this sorrow, whatever it is, and you forgive, because this is what He did, for you, and for me. Entitlement, owning what you feel, can sadly, be misrepresented, to deceive you. How can any of us, truly understand, the spiritual implications though, unless we know Gods ways? And He tells us, our ways, are not His ways. But we are also told in scripture, we can have the mind of Christ. Look it up, as well in a King James bible. But we have to reject this sense of entitlement and to totally bring it to the obedience of the cross. CASTING DOWN IMAGINATIONS, AND EVERY HIGH THING THAT EXALTETH ITSELF AGAINST THE KNOWLEDGE OF GOD, AND BRINGING INTO CAPTIVITY EVERY THOUGHT TO THE OBEDIENCE OF CHRIST; II CORINTHIANS 10:5. Now lets talk about fear, for a sense, because many times, we have fear. And something has also caused us to be timid, or to be afraid. And I don’t dispute that we can feel that. Sometimes it is our gut instinct. But what I am saying, is God in His word, for an example, has told us in II Timothy 1:7. He has not given us a spirit of fear, but of power, love, and a sound mind. I am paraphrasing this, but look it up from a King James…. There is that thought of a sound mind, again, and that comes from Christ. But you may think you are entitled to go around every day, afraid, of every little thing, and mess your head up daily, and speak fearful things, because you don’t know God, can take care of it. So you torture yourself, in your sense of entitlement, and you torture others with this fear…. God have mercy, that you see this. How can you have faith, unless you give God that fear, so you can have faith? We have to learn, how to harness, anything we feel, and see, very carefully where we go wrong. BUT GOD LED THE PEOPLE ABOUT, THROUGH THE WAY OF THE WILDERNESS OF THE RED SEA: AND THE CHILDREN OF ISRAEL WENT UP HARNESSED OUT OF THE LAND OF EGYPT. Exodus 13:18. We all sin, we all come short of the glory of God. We all make mistakes. But if we continually make mistakes over, and over again, we do not learn. Not only will we come short, but we will totally miss the plan, God has for us. What I am trying, by the grace of God for you to see, and for myself as well. We really are not entitled to anything, without Gods mercy. Without His permission. Without His approval. Without the life, He gives us. He is so gracious. He gives us a choice. It has always been a choice, since the beginning of time, even with Adam and Eve. But we reap what we sow. These are principles He has established. Laws of Gods Kingdom. So we have to see it now. And then sometimes, we run out of time. There are no more chances. There are no more extensions of this grace and mercy. THEREFORE TURN THOU TO THY GOD: KEEP MERCY AND JUDGMENT, AND WAIT ON THY GOD CONTINUALLY. HOSEA 12:6. I am trying with all my might, to just find my way myself. But I know, that Christ is that way. He is the truth, and life. JOHN 14:6. I can look back, and I can see, how I have made my own mistakes. Even sins….By assuming, and thinking I am entitled to feel what I feel, and do what I wanted to do, and it led straight right to hell on earth. Folks, even in the Bibles we choose. We are not entitled to disobey God in this. Not when the King James has been established, to be holy and anointed, how dare any of us, use something that would be corrupted, or changed. When the warnings have been there, do not change, add, or delete His Holy word. If Revelation 22:18-19 does not warn us enough, that salvation could be lost, or our names removed from the book of life, what is it going to take to lose that sense of entitlement that your salvation is secure? Nothing is worth losing our souls over. For hell is eternal. And lets talk about entitlement concerning your soul. Do you think it is secure? So you sin, and do not repent? Think again. Don’t play with your salvation, because you accepted Christ, as Lord and savior, but returned to sin. You are not entitled! God is not mocked, and that fear of God should kick in, because you are in eternal danger. And to be blunt, you will be entitled for God to judge you and send you straight to hell, if you do not take Him at His Holy word! Thats just the way it is. He is God! But heaven be yours by what He did, in making Him your Lord and savior, and that is an entitlement, He has promised. But that is only gained by Christ. And I think though, that if we become aware of this and lose that sense of entitlement, we have, that is not His ways, even in what we feel, and take it to the obedience of Christ, and take it to search for God, we can find our way, His way. For Christ is that way. I told you this was not going to be a feel good message. But it can help you, I know it. But you or me, we are not entitled, to anything. Without God, we are lost. And how dare any of us, think we are owed anything, but to love one another. And love God with all our hearts, souls, and minds. What a waste, if we think we are entitled. And worse yet, to the one who demands to be served, because you feel entitled. Open your eyes, your heart, your soul. Quit stealing, what does not belong to you. Even in words. The only one truly entitled is Christ. For He without sin, took our sins. I hope this helps. Entitlement…..
AND WHEN HE PUTTETH FORTH HIS OWN SHEEP, HE GOETH BEFORE THEM AND THE SHEEP FOLLOW HIM: FOR THEY KNOW HIS VOICE. AND A STRANGER WILL THEY NOT FOLLOW BUT WILL FLEE FROM HIM: FOR THEY KNOW NOT THE VOICE OF STRANGERS. KJV. John 10:4-5. How do I know the voice of Jesus? I do want to tell you, and I want you to know this yourself, so you can hear only His voice. He more then anything, wants you to know His voice, and to have truth to guide you. He loves you. Know that now, before I go on. Well there are a few factors, that come into place. And this is my interpretation of the matter. I know, that I know the voice of my Lord Jesus, for these reasons. Have you ever heard someone say, they hear, lots of voices? Or this voice, or that, made them do something? I don’t have that problem, thank God. I believe, I know enough of God’s word, that I still want to keep learning, and I am aware, not to depart from God’s truth, nor do I also play with other spiritual entities. That needs further contemplation, that I will not add here, for the sake of space. But I will just say, I do not because I love my Lord, and I will not follow any other voices, or spirits. God knew that from the beginning, because the enemy deceived Adam and Eve, by getting them to disobey God and to eat, from the tree of knowledge and of good and evil. So we have to know this too. I guard my heart, very carefully in this matter, because I do not want to get confused. The reason, I obey God in this, is because I do not want nor do I have a “spirit of confusion.” I have always had a sense of good common sense, but the main reason, I do know my Lord’s voice, is by the Bible I use. I use a King James Bible. I was raised on the King James Bible. So the anointing, and holiness, of that Bible, was I guess, for lack of a better word, was attached to me. For as a child, I would read the King James Bible. The spirit, of right and wrong was with me, yet, because I was naive…. I did not know how hard my life would be because of disobedience. And because when I grew older, I departed from those truths. Which was the worst mistakes of my life. Because I did not take into consideration the consequences of making bad choices, I chose wrong. Yet, I knew, not to make some of those choices. This in the eyes of God is rebellion, it is disobedience. It is called sin. And I want to talk about that, in some depth. Because it is important, to know, anything we choose, that is not of God, is disobedience. And lies come from hell itself. The devil is and was a liar. Where else, could he change truth, from a lie, and try and get away with it, but in a Holy Bible, because that will change it, and it will no longer be holy. He wants to deceive us all. And you have to see his ugly old characteristics, to be able to identify it within yourself as well. He had pride, he was a liar, he wanted to take the glory from God, so he was deceptive, and hateful, and so much more, that is not like Christ. 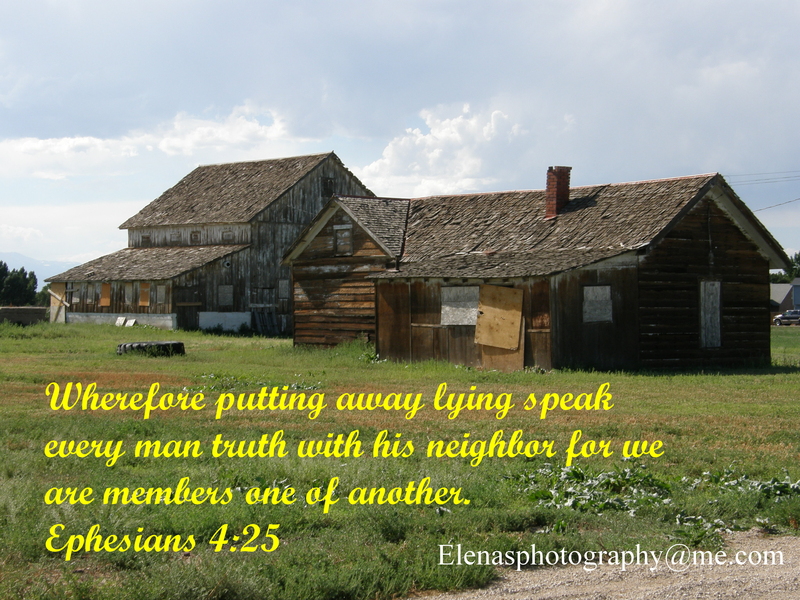 So, we must be able, to discern, between truth, and a lie. So lets begin with the characteristics of Christ. We know Christ, IS TRUTH, THE WAY, AND LIFE. John 14:6. His ways are truth, and they show us the way, and give us life, and yes life abundantly. When we do not know truth, we are confused. We believe ‘voices” that can come from within, or yes, even from friends and acquaintances, that are also confused, and misled. The enemy, can use these people, who you may even love, but their “influence” can mislead you as well. So, we have to know truth, Gods truth. We have to know God’s law. Now, even here I will interject, and say, many teachers, preachers, (false Prophets) will deny the law. They confuse it in the New Testament, as it being the law, of God. But Paul was talking about the law of death. We are free, from the law of death, but we have to keep the law of God, to have that freedom. We have to obey God. Christ, told us, that He did not come to abolish the law, but to fulfill it. So this is very, very important in our thinking, to want to hear the voice of Jesus. To have discernment. To know the difference in voices. To obey God, and to do right in His sight. We must want to obey God’s law. So where do we go to get God’s pure law? 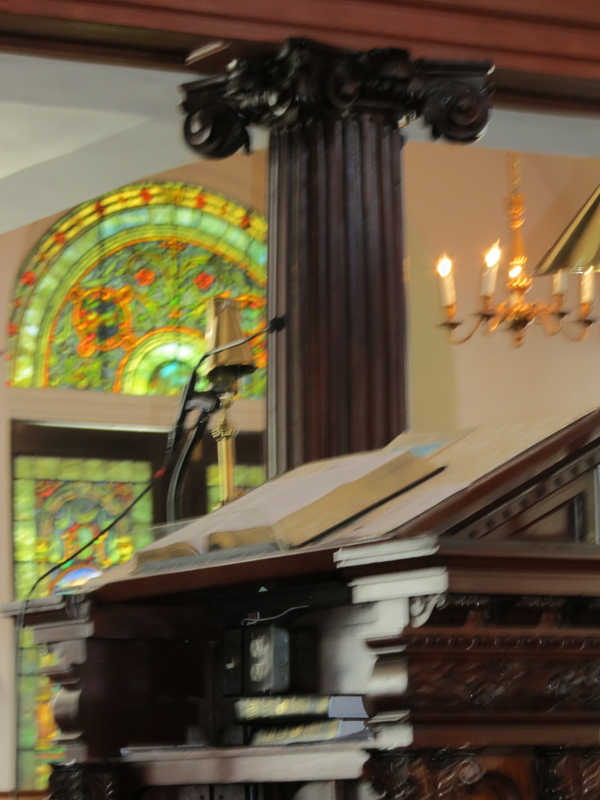 We go to the oldest, and most purest version, of Gods word, to get that purity. The King James Bible. (see Psalms 12:6-7 in a King James Bible, to see the preservation of it.) It has been established for 400 years. God set it apart. It has no copy rights, and it has not been changed. Greedy publishers, cannot change it, or “corrupt” it, because it has been preserved. Yes, they have taken the “lump” of that, and made their own versions, and corrupted it, because they have put their carnal hands to it. Any other Bible, is not holy, it is not anointed. Do your own careful, comparison. But you will find words, that are totally different, in their definitions, so it changes the context, and yes, the content of the words, so they are different. They may be similar, but they are not the same words. They have actually removed some scriptures, and they denote the authority of Jesus Christ. Some remove the name of the Father Jehovah, as the author. In some places, they remove the name of the devil. So you won’t know who Gods enemies name is. There are so many discrepancies. I have found in my research. There is no way, they can be holy. So, because of this, they have turned the Bible, into a “Lie.” Where does that come from? but the enemy of God, the devil. So you have to see the discrepancies. You have to see, it is part truth, but part lies. When I saw this, all confusion left me. I understood, God. I began to understand what He wanted from me. Though the mystery of God, tells me, His ways, are not my ways. Nor my thoughts His thoughts…yet we can have the mind of Christ. Our minds can be renewed. But those Bible versions, had me stumped. And because these versions, have been compromised, it is partially a lie, it is not holy, it is not anointed, and it is not powerful, with the anointing, one needs, yes, and in case of an emergency. Like needing a promise from God, for healing, guidance, etc. So the law, has been broken in this, because throughout God’s word, He has commanded, do not change, do not add, do not delete it, or you will be counted with the liars. Proverbs 30:5-6. EVERY WORD OF GOD IS PURE: HE IS A SHIELD UNTO THEM THAT PUT THEIR TRUST IN HIM. ADD THOU NOT UNTO HIS WORDS, LEST HE REPROVE THEE, AND THOU BE FOUND A LIAR. This choice, of even using another Bible, could actually cause someone to lose their Salvation. FOR I TESTIFY UNTO EVERY MAN THAT HEARETH THE WORDS OF THE PROPHECY OF THIS BOOK. IF ANY MAN SHALL ADD UNTO THESE THINGS, GOD SHALL ADD UNTO HIM THE PLAGUES THAT ARE WRITTEN IN THE BOOK. AND IF ANY MAN SHALL TAKE AWAY FROM THE WORDS OF THE BOOK OF THIS PROPHECY, GOD SHALL TAKE AWAY HIS PART OUT OF THE BOOK OF LIFE, AND OUT OF THE HOLY CITY, AND FROM THE THINGS WHICH ARE WRITTEN IN THIS BOOK. Revelation 22:18-19. So look at this scripture, very, very carefully. It tells you, you will be denied, heaven. You will not be able to enter there. Your name will be removed, from the book of life. And further more, it tells us in that last sentence, your desires, your promises, you are believing in, from those other versions, will not be granted to you, the promises of God, because they have added, changed, or deleted, God’s word. Look at it! Alright, so this is the main reason, why I know my Jesus, and His voice. But anything, that is a lie, that is not love, that is not kind, is not the voice of my Jesus. I know His voice. He does not condemn me, He does not criticize me. He does not tell me to do something, that goes against His truth, and word. He does not tell me to do evil. He directs me in truth. And I know it is truth, because it is always based on His Holy word, the King James. He is merciful, He is compassionate, He is kind, and yet, in truth He directs me and you. Because His spirit, is in our heart. But it will not be, if it is based on lies. He will leave, the Holy Spirit, will leave you and you will not have the truth, and the wisdom you need, in your every day life. Remember, sin, separates us from God. He will not be in an unholy vessel. So this is so important that we heed His voice. If we only heed the voice from the King James Bible, and the spirit, which is the Holy Spirit, will direct us. Remember this….because many of you think by using those other Bible versions, it will make the interpretation easier. Easier to understand. They get stumped on the wording, and call it archaic, etc. But God does not change we change. And we can adapt, and hear Gods voice clearly, from the translation of the King James. Because it is the Holy spirit, that gives the interpretation. It can only come from God Himself. II Peter 1:20-21 tells us from the King James Bible that scripture, can only be interpreted, from the Holy spirit. There is no private interpretation, which these Bibles, try to impose. The interpretation can only come from a word, that is pure. This is the only WAY. The way of Christ, to hear His voice. Because it is still holy. It is determined by the Bible you use. Christ told us, that His children, would hear His voice, which does not change, nor does he add to it, and that we would know His voice, and to another we would not follow. I do not follow those other Bible versions, or read them because I do not want to confuse myself. I want to always know His voice. This is the short answer. I know His voice. Because it is always confirmed, from the Holy word, of the King James Bible. This is what begins the process, of my faith, to trust in God. By knowing what the King James Bible says. This is how I know the voice, of my dear, kind, merciful Jesus, who saved me, for now, and for eternity. THEN SAID JESUS UNTO THEM AGAIN, VERILY, VERILY, I SAY UNTO YOU, I AM THE DOOR OF THE SHEEP. ALL THAT EVER CAME BEFORE ME ARE THIEVES AND ROBBERS BUT THE SHEEP DID NOT HEAR THEM. I AM THE DOOR; BY ME IF ANY MAN ENTER IN, HE SHALL BE SAVED, AND SHALL GO IN AND OUT, AND FIND PASTURE. THE THIEF, COMETH NOT BUT FOR TO STEAL, AND TO KILL, AND TO DESTROY: I AM COME THAT THEY MIGHT HAVE LIFE, AND THAT THEY MIGHT HAVE IT MORE ABUNDANTLY. JOHN 10:7-10. Maybe right now, you are doubting, what I say. Maybe you are confused. Maybe, you have believed the lie….about those other Bible versions. 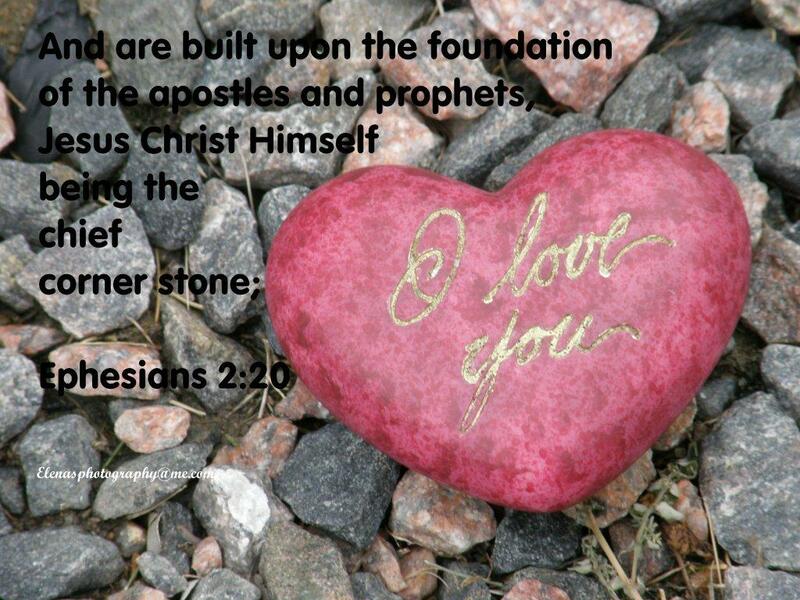 but I tell you this in love, which is what Christ said we would be known by. Read John 13:34, to know, what we will be known by, and this is love. As His disciples. Please know, that this truth I tell you, I tell you, so you can get answers. So you can get closer to Christ. So you can know His voice. I tell you this, because to be honest, I learned the hard way. My life was so broken, until I learned this. I was like Humpty Dumpty, I could not be mended. The pieces would not come together, until I learned this….and it is never to late. If we have breath in us. So with every breath I have, I praise God. But when I learned this, I learned who I am in Christ. I am an ambassador of Christ. I am highly favored, and I am His daughter clothed in righteousness. Because He is love, and this is how I tap into His real love, by knowing His voice. I have even learned not to follow people, but Christ only. I know His voice, and He knows mine too. We talk to each other often, but I am in my King James Bible daily. BUT YE BELIEVE NOT, BECAUSE YE ARE NOT OF MY SHEEP AS I SAID UNTO YOU. MY SHEEP HEAR MY VOICE, AND I KNOW THEM, AND THEY FOLLOW ME. John 10:26-27.
http://howtohavefaith.wordpress.com THE BOOK THAT CAN MAKE A DIFFERENCE IN YOUR FAITH…CHECK OUT THIS LINK FOR MORE INFORMATION. What if Judas had repented, and saw what he did, and repented at the cross of our Lord, Jesus? How would his life have changed? For he would not have committed suicide…. I write this, as a plea, to the “Judas of Heart.” To that person, who feigns innocence, who promises, this and that, but who is disloyal in heart. To the one, who looks for opportunities, to betray someone. I write this to plead with you, to stop hurting, yourself, and others. To stop, betraying, those, who trust you. To stop, selling others, for profit, or for “thirty stinking” dollars, that will damn you for eternity. I don’t pull any stops here, in expressing this, I call you for what you are. Because you need to see, this. But I pray to do so in truth, and yes love. If Jesus, could have talked to Judas, after betraying Him, He would have said. “Judas, I forgive you.” He would have counseled this disciple, He had called a friend. But as we all know, Christ did not have that chance. And He was crucified, for our sins. For the sins, of Judas, if he had repented. And not committed suicide. Judas took his own life, he knew, tortured, what he had done. He took a permanent way out of life, as the solution. But it led to hell. For, he had betrayed, the King of Kings, the Lord of Lords. His betrayal, hurt his friend. Christ. Yet this was the plan of God. But, Judas, had seen, the miracles, Christ had done. He had seen love, in action. The face of love, as it was in Christ. The beauty of who He was. Judas saw all that, and yet, in jealousy, hate, or whatever it was, that was evil within him, he betrayed Christ. And, sold him out for thirty stinking coins of gold. How could he do such a heinous thing? One might ask themself. Today, I want to plead with you. And if you are reading this, it may be you. You see, who you are. For you know yourself, better then anyone. You know, how charming you can be. You know, you have a personality, and demeanor, that is very attractive, or maybe not. Maybe you are so intimidated, by people, or success of others, and you see, your inadequacies. That either way, you cannot bear, to see others do well, or you feel like you have to have the upper hand. It kills you, within, to see others excel, and they take the glory from you. Sound familar? Thats satan within you. He hated, God. He hated to see God, shine, with all the glory. So much, because he was an angel, that was the glory, he wanted it all for himself. So he betrayed God. He so very much, wanted to cancel the plans of God, that he disguised himself, as a snake, then. A serpent, and caused Adam and Eve, to sin, against God. By making them believe a lie. If only, they had gone to God, sought counsel from Him, then the sins, of this world, the curse, mankind received from this disobedience, would have been avoided. Maybe that is why I write to you. To avoid, the curse. To avoid, the wrath of God. To avoid, a future, that has truly no hope. When Judas did what he did, by betraying Jesus, he wanted to return the dirty coins, he had received. But it was too late. They took Christ, beat him, spat at him, and made him suffer. What a heavy guilt, Judas must have had. Judas, could have avoided, his downfall. Even his lack of hope, by that he committed suicide. He could have saved His life, then, and for eternity. He could have stopped, and seen what evil he was doing. But he did not. What if he had, seen. And stopped, and did not betray Christ? It would probably be a different story. Or would it? Yes, we all sin, we all come short of the glory of God. But if only…..If only he had repented. If only he had ran to the cross, even as our Lord, was nailed to that tree, that place, that tormented our Lord, for our sins…If only, he had cried out to God for forgiveness. We would have seen by histories account, a man changed. But he knew not who he betrayed. Christ, the son of God. Judas, would have received redemption. He would have been forgiven. Christ loved him. And even as I write this, and I cry, I feel the sadness, and I understand, the pain, Christ felt, in that betrayal. Yet, He knew, Christ knew, he had to go to the cross for ALL of our sins. So He did. He willingly went to the cross, to take the curse, to suffer, die, and to go to the pits of hell, to get the keys, so the devil would not have a legal right to take us there. By Christs obedience, to God, in love. We are free. 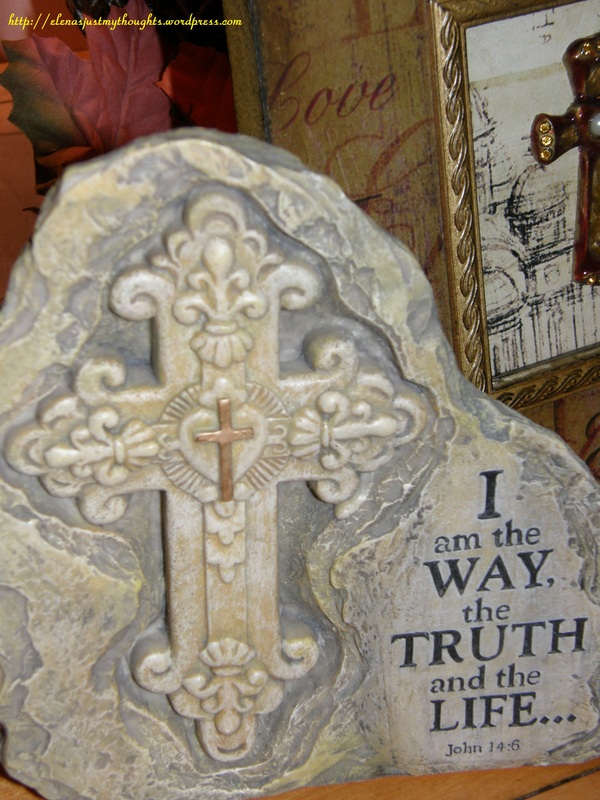 For everyone, who does not come to Christ, who denies him, knowing He is the way, the truth, and the life. Christ grieves for you. He cries for you, because you choose to be disloyal. Because you choose to have a Judas, heart. You choose the ways of satan. And he knows, the time of reckoning, is at hand. Either when your time of life is over, or when He returns. He knows. All will stand before Him, and they will have to give an account of their life. And they will either reap, hell or heaven. Judas of heart, I plead with you. Stop, see what you are doing. Restore, return, that which you have stolen from. Or been a false witness. Go to the ones you have hurt. Repent. Repent before a holy God, and make right, what you have done wrong. Its not too late. You may think it is. But it is not. You may have to pay the consequences, of your sin. You may lose, what you loved. Or you may not. But if you make it right, with your soul, as the goal, you can be victorious. Judas, of heart, I plead with you. For even as I write this, I understand, how it feels when you trust someone, and they give you the kisses, of Judas, and they betray you. I have felt that pain many times. Too many, that I don’t even want to recount. Yet, I have forgiven. For Christ forgave me of my sins. So I choose to forgive. As the word says. Matthew 6:14 For if ye forgive men their tresspasses, your heavenly Father will also forgive you. And even now, God revealed to me, last night in a dream. Someone, I have been kind to, someone who has feigned, “friendship” this someone, has betrayed me, by my works. By that which I write. I had a dream, that I fought that person. And then I woke up, and prayed, “Lord, the battle is yours.” I felt so weary, after this dream. I prayed for that soul. I pray, they would see, the error of this. Stealing others works, other writers hard earned, works, they put to computers. In this computer age, their are so many opportunities, for others to steal. But God knows. Maybe thats why I write this to, to plead with you Judas of heart. To plead, you to stop. The wrath of God, is not to be messed with, or to be thought of lightly, for God is not mocked. He loves His children. He blesses those, who bless us. But he curses, those who curse us. Judas, of heart, you need to see this. Before it is too late. Go to God, make good, from your betraying…..Repent, restore. And change your mind, your heart, to a heart like Christ, before it is too late. Go to the cross. Christ is the only one, who can change your heart. He is the only one. Don’t make the mistake, before it is too late, like Judas did. Go to the cross, and cry out to the only one, who can save your soul. And even here, Judas of heart, who claimed to be my friend. I forgive you. My heart breaks because I trusted you. But I forgive you. May God have mercy on your soul. Please Note: I do not know the future. I have dreams, that have not been fulfilled, yet. Perhaps they will be. But, if someone, can see this and see the vision, of this, and has the resources, I pray, you would make a movie out of this. What if Judas had gone to the cross? The story would be different. It could be someone’s lifeline……To Christ now.